As the name suggests, they can be mounted directly onto the application system. They are mainly chosen for applications involving pressurized liquids. 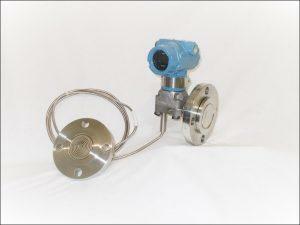 They protect pressure transmitters from excess process temperatures. Let’s discuss this product in detail. The design of these transmitters is a combination of direct mount seals, level transmitters, and pressure instrumentation. They create direct connections between pressure transmitters and vessel fittings. They also ensure that the fill fluid’s operating temperature is maintained at particular levels. The transmitter’s design includes either capillary style or direct mount connections. The connections can be either threaded or flanged, thus ensuring a hygienic process. The instrument connections are welded, which eliminates leakage possibilities. Advanced welding techniques are used to construct the transmitter. The techniques prevent weld corrosion, and improve seal reliability. The design also includes a recessed diaphragm. This minimizes gasket errors, and protects the diaphragm from getting damaged during installation. The transmitters are fine tuned for improved performance. They have remote displays and interfaces for easy access to data. They reduce process variability, as well as installation costs. The diaphragm seal system ensures a stable and leak-proof application operation. The transmitter also comprises a backup diaphragm pattern. This extends the diaphragm’s service life, and reduces oil volume for improved performance. The Rosemount 1199 direct mount transmitters are capable of providing diaphragm protection, and remote measurement in extremely tough applications. They provide reliable performance in terms of reducing temperature effects, and maintaining process pressures.